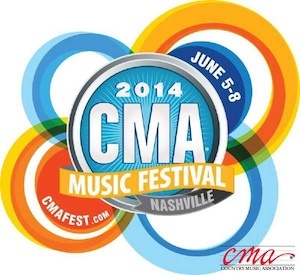 The Country Music Association will utilize social networks to announce LP Field performers for the 2014 CMA Music Festival starting Monday, March 3. Every weekday from March 3-18, CMA will post clues on its social media platforms allowing fans to speculate and anticipate who will be performing during the Nightly Concerts at LP Field. A full announcement of the LP Field lineup will follow the #CMAFestGuess social media campaign on Wednesday, March 19. A mock movie trailer announcing the campaign will be released on CMA’s social pages Sunday during the Oscars ceremony. “As the Oscars will be one of the largest nights of the year for social engagement, we felt it the perfect time to announce this innovative social campaign to our fans,” said Damon Whiteside, CMA Senior Vice President of Marketing and Partnerships. Followers can use #CMAFestGuess to track the virtual clues, or follow CMA’s Facebook, Twitter and Instagram.